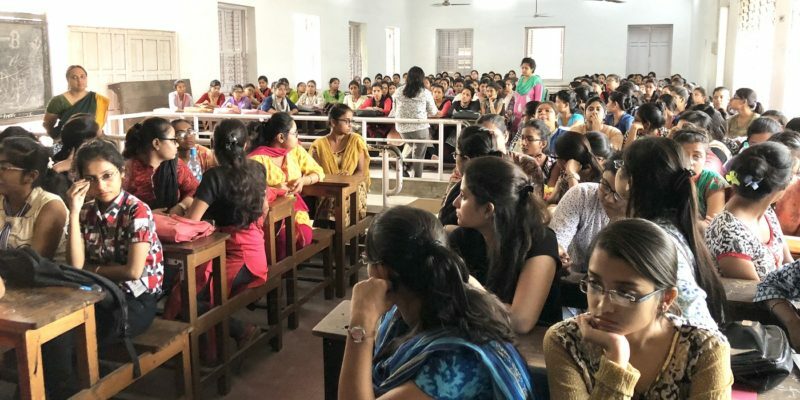 There is a Placement Cell in the College under the leadership of Prof. Ratan Sen, Head of the Department of Commerce, which provides Career Assistance to the students by arranging lectures, seminar presentations and workshop which are conducted by reputed organizations and recruiters. The College has signed MoUs with Tata Consultancy Services and Pricewaterhouse and Coopers and they regularly train and recruit deserving students in corporate world. A “Campus to Corporate” scheme is in place in collaboration with TCS. A course in Communicative English is offered in collaboration with The Brainware to help the students to develop communicative skills in English. IDP and International Management Institute also visit college to screen students to enhance their employability on a regular basis.